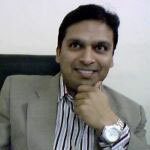 Manash is the CEO of Corelynx Inc., a Cloud based Enterprise Software Product Development and Services Company. He is actively involved in next generation Mobile technologies and bringing solutions to Cloud Computing Architecture. Prior to that, Manash worked as Principal Consultant in companies like Cisco Systems, Lucky Goldstar, Western Digital and Trane Company. I am an individual sales person who wants a simple CRM system to log my prospects, clients and do traces for follow-ups. Hello Karen, CRM system depends on business requirement. Why you are looking for CRM? Cloud CRM systems have become the latest trend in the enterprise software industry, turning CRM software into an even more formidable business tool for modern enterprises. Yet until relatively recently, cloud-based customer relationship management was an application considered suitable only in large organizational environments. What are other inexpensive CRM options such as Zoho that should be considered? What are some good alternatives to infusionsoft for a 10-20 employee company? 4 users max. Suggestions for a CRM for a small service/training company? What is the best CRM software choice or small company that does both B2B and B2C business? I have used Salesforce with another company and liked it but am looking for the most affordable one for under 5 employees. What is the most simple and reasonable CRM available? What cloud based CRM and enterprise solutions will work with Peachtree and Google Docs? Converge Enterprise is cloud based CRM(http://www.convergeenterprise.com). You can get free trial version. Hello Rob, As you mentioned that, you are looking for CRM solution for your small size company. From my experience, I think you can use customize CRM software. Converge CRM (http://www.convergeenterprise.com) is a good option for small size businesses. Should You Develop Apps or Syndicate Apps For Better ROI? Buy vs. build, every growing company eventually faces it, and many are still driven to keep software matters as in-house as possible. Manash Chaudhuri, CEO of Corelynx Inc., outlines some of the advantages and disadvantages of building your own apps from scratch. Moving your enterprise data to the cloud is a business decision now, and many companies are worried about cloud security. Here are the key trends to expect in the cloud security market. Corelynx Inc, a Sillicon Valley-based company, started the journey as an Open Source based Enterprise Product Development and Services Company. Corelynx has 200 clients all over the world.Corelynx focuses on next generation technology areas: CRM software, Cloud computing Architecture, Open source software development, ERP software, Mobility.